Chinese scientists have implanted human brain genes into monkeys, in a study intended to provide insights into the unique evolution of human intelligence. 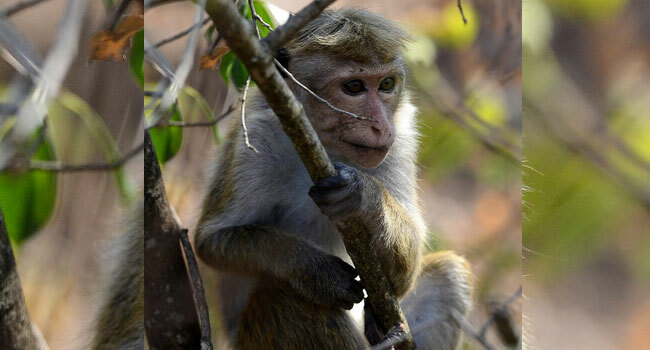 Researchers inserted human versions of MCPH1, a gene that scientists believe plays a role in the development of the human brain, into 11 rhesus monkeys. They found the monkeys’ brains — like those of humans — took longer to develop, and the animals performed better in tests of short-term memory as well as reaction time compared to wild monkeys. However, the monkeys did not grow bigger brains than the control group. The test, the latest in a series of biomedical experiments in China to have fuelled medical ethics debates, has already drawn ethical concerns, and comparisons with dystopian sci-fi “Planet of the Apes”. It was conducted by researchers at the Kunming Institute of Zoology and the Chinese Academy of Sciences, working with US researchers at the University of North Carolina. The study was published last month in Beijing-based journal National Science Review. “Our findings demonstrated that transgenic nonhuman primates (excluding ape species) have the potential to provide important — and potentially unique — insights into basic questions of what actually makes human unique,” the authors wrote. The monkeys underwent memory tests requiring them to remember colours and shapes on a screen, and were subjected to MRI scans. Only five of the monkeys survived into the testing stage. The authors said the rhesus monkey, though genetically closer to humans than rodents, is still distant enough to alleviate ethical concerns. However, some questioned the ethics of the experiment. “You just go to the “Planet of the Apes” immediately in the popular imagination,” said Jacqueline Glover, a University of Colorado bioethicist. “To humanise them is to cause harm. Where would they live and what would they do? Do not create a being that can’t have a meaningful life in any context,” she told MIT Technology Review. Larry Baum, a researcher at Hong Kong University’s Centre for Genomic Sciences, downplayed sci-fi comparisons. “The genome of rhesus monkeys differs from ours by a few percent. That’s millions of individual DNA bases differing between humans and monkeys,” he said. “This study changed a few of those in just one of about 20,000 genes. In January, Chinese scientists unveiled five macaques cloned from a single animal that was genetically engineered to have a sleep disorder, which all developed signs of mental problems including depression, anxiety and behaviours linked to schizophrenia. They said the study was intended to aid research into human psychological problems. And last year, Chinese researcher He Jiankui shocked the scientific community after revealing that he had successfully gene-edited twin girls born in November to prevent them from contracting HIV.